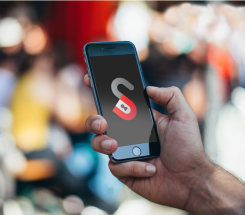 Are you looking for a one-stop iPhone unlocking solution that makes unlocking an iPhone as simple as just clicking a few buttons? Yes? Then you have come to the right spot! We are the best you will find when it comes to unlocking iPhones in the UK. Our service is based on professionalism, integrity and efficiency. This explains why we get hundreds of iPhone unlock requests from the UK and beyond.Whether you are looking to an unlock iPhone 6S on UK networks, iPhone 3G, iPhone8 or X, we have you covered. We also have a great record with unlocking iPhone 7 and 7+ models, so we are much more than just the best iPhone 5S unlocking solution in the UK; a status many consumers know us for. The price we charge for unlocking iPhones are some of the most competitive you can find around the UK amongst the networks we can handle in the UK are O2 Tesco, EE UK, Vodafone UK, 3 Hutchinson UK. Depending on your network, we can help you unlock your iPhone with ease. We also cover iPhones locked to international networks in locations such as Switzerland, Sweden, Spain, Poland, Ireland, France, Canada and the United States depending on carrier approval. Depending on the exact service you want, it may take between 1 hour (Blacklist IMEI check report) to 15 business days (unlocking a T-Mobile US iPhone) to have your problem solved. Here are at Unlocking Smart, we pay attention to our customers. Without our customers we are just a group of clever techies sat around with nothing to do. Feel free to contact us through any of our customer support channels today! We will get back to you fast! If unsure you can simply ask, and we can quickly advise you how we can help.